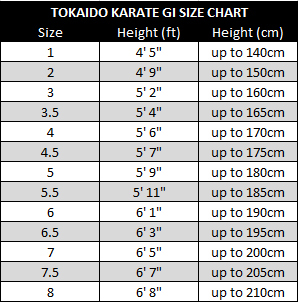 The "Kata Master Athletic" karate gi by Tokaido is a first-class karate gi for kata competitions and championships, you will love the new Kata Master Athletic by Tokaido. 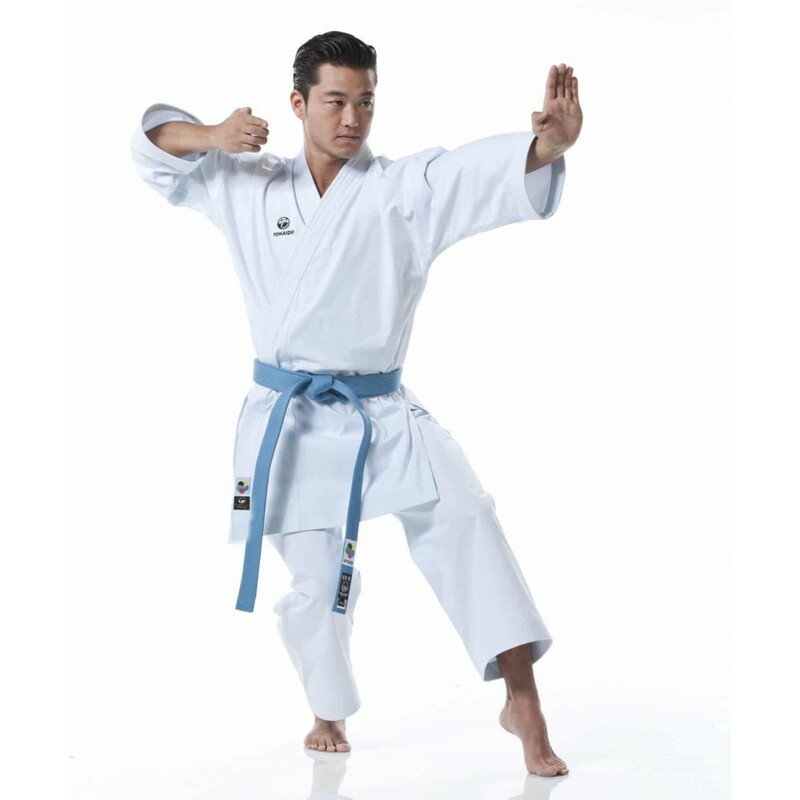 The quality of the fabric specially developed for Kata leaves nothing to be desired. Thanks to the revised version of Team KI, the uniform fits even better and gives the competitor a distinctive charisma. 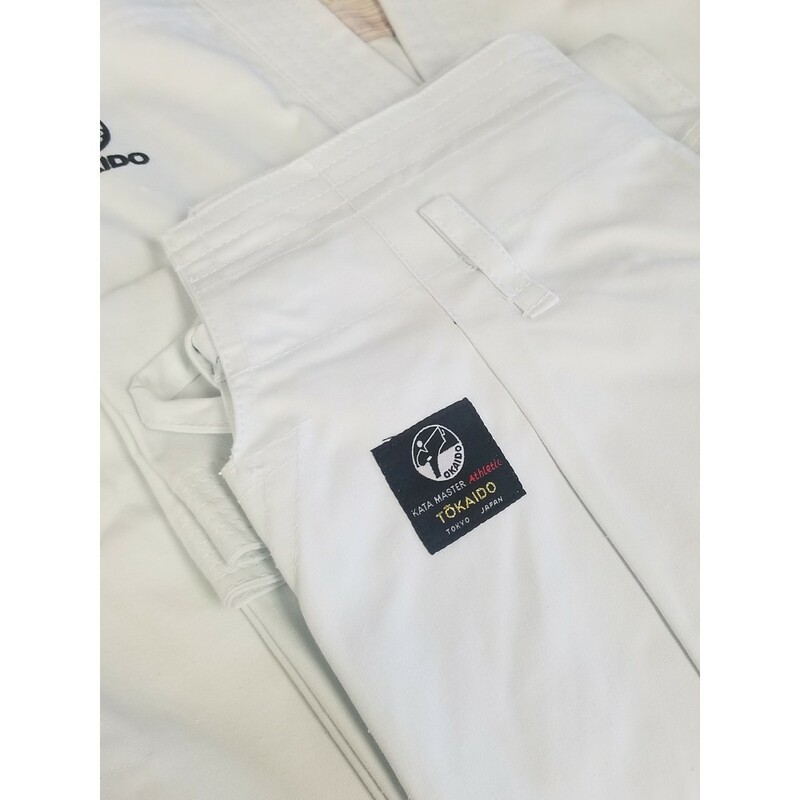 An excellent Gi - designed by Kata athletes for Kata athletes. The cut was developed in coordination with Team Ki in person by the Japanese Kenichi Sato and Vice World Champion Ilja Smorguner. A Slim Fit Karategi that just fits perfectly: A tailored jacket featuring so called “smart shoulder cut” makes the suit look like a perfectly fitting business shirt in the upper body. The tight-fitting sleeves offer the possibility for officials and students to visualize the execution of the technique even better. The end seams of the sleeves are especially reinforced, which makes the suit fall when it is favorable and supports the optics. Innovative high-waist lacing for optimum leg-freeness with every movement. The pants has no outer seem for an unmarked look. 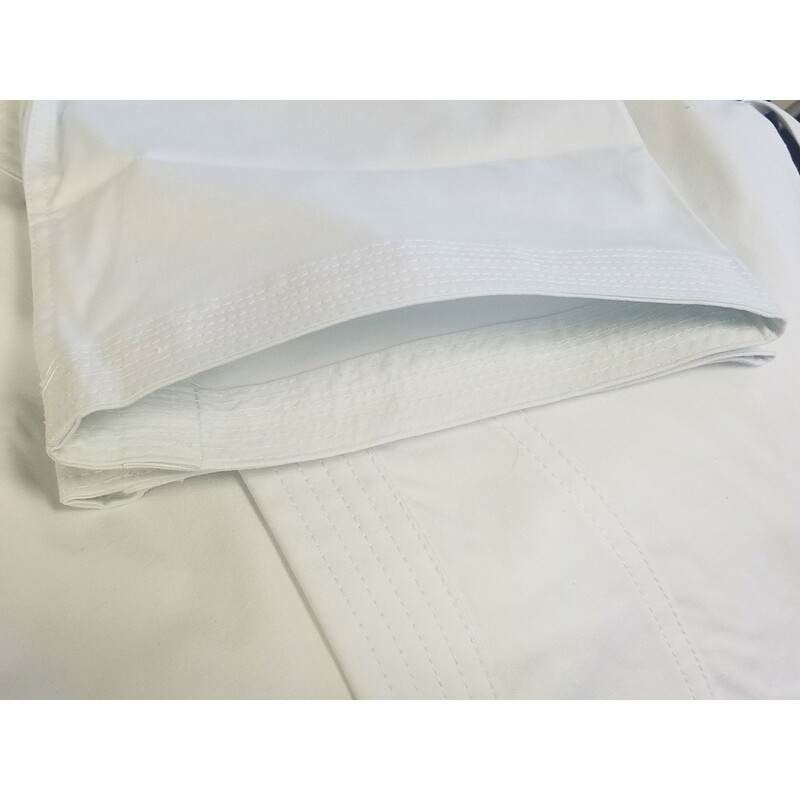 The typical Japanese light blue cast of the fabric makes the Gi shine bright white in the headlights. The newly developed material has been optimized to underline every intensive technique with an impressive sound. The combination of cotton and polyester (70% cotton, 30% polyester) also reduced the weight of the suit for even higher jumps without compromising. 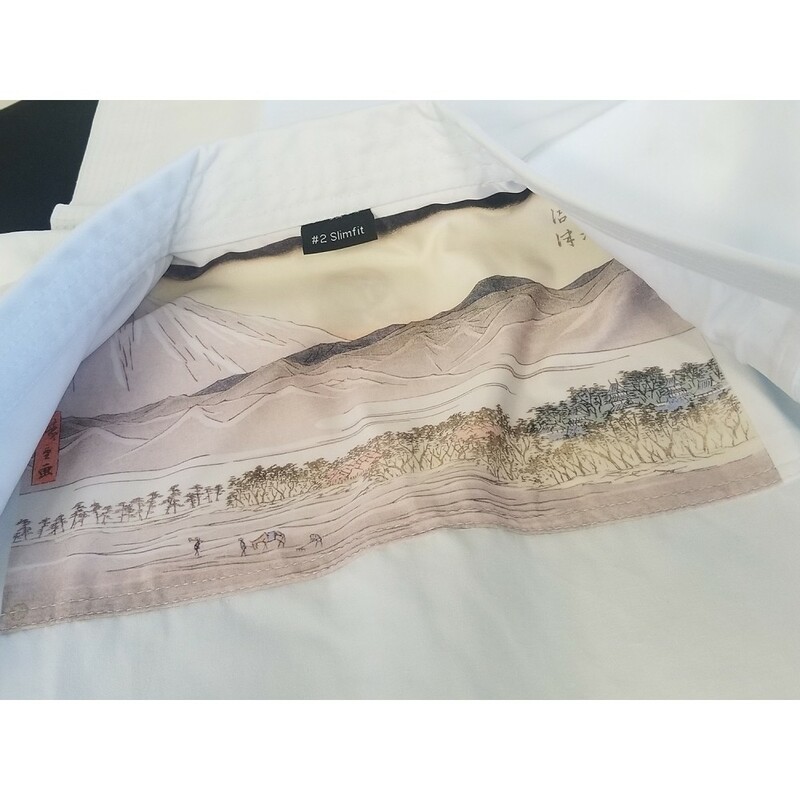 A special eyecatcher is the large, traditional Japanese print on the inside of the jacket. 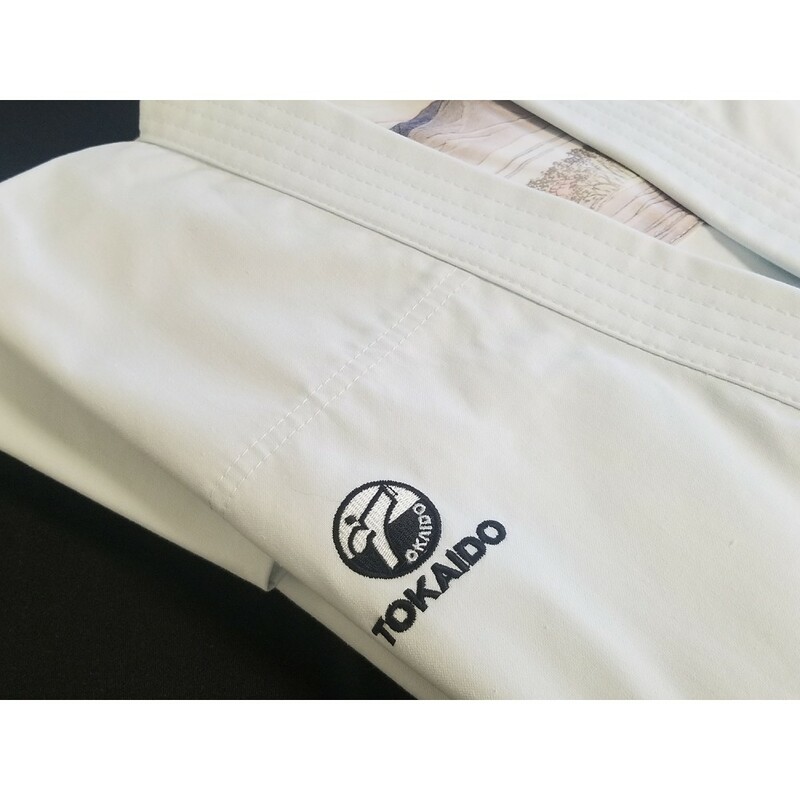 Embroidered Tokaido logo on the chest, neck now also in the pants. 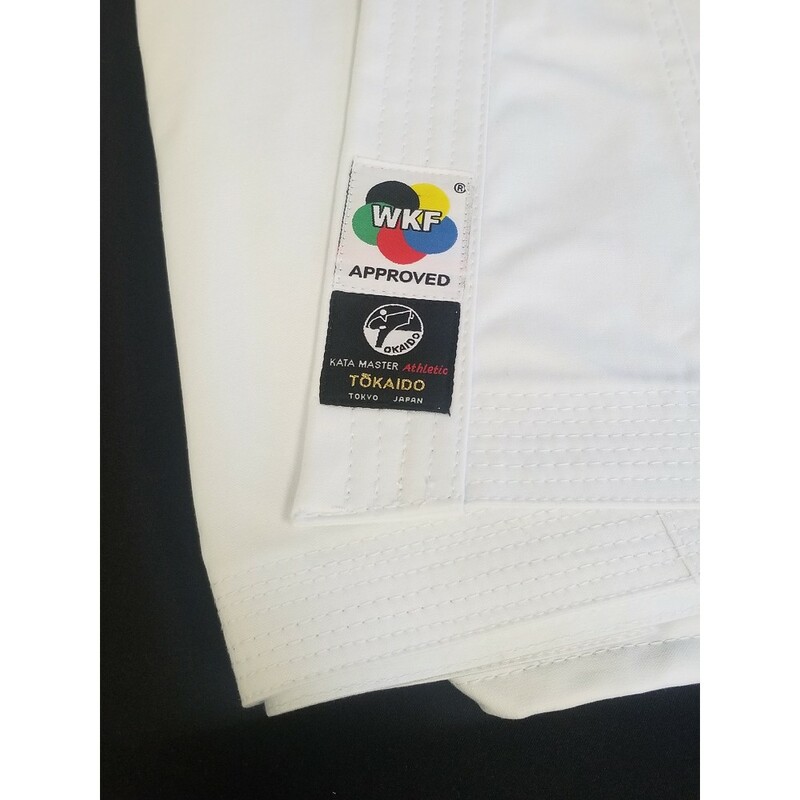 WKF approved karate gi: can therefore be worn at all World Karate Championships.